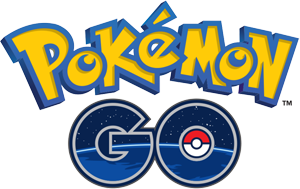 Thousands of Pokémon GO fans will soon be deprived of their favourite pastime! According to Niantic's latest announcement, the augmented reality game will no longer be compatible with devices that do not run with the iOS 11 installed. Players hence have until the 28th of February to either lose their affection for the mobile game or get a device that supports the latest operating system. This is indeed pretty inconvenient and we are likely to hear more on the issue in the days to come. Stay tuned for more buzz and remember that you can also share your thoughts in the comment section! Supercell will make Clash of Clans even better in December! If you have a passion for Supercell's hit strategy tower-defence game, you will certainly like to find more about its forthcoming update! As you might have guessed, we are dealing with Clash of Clans and its December expansion. The latter is now being discussed online and fans are already speculating things. 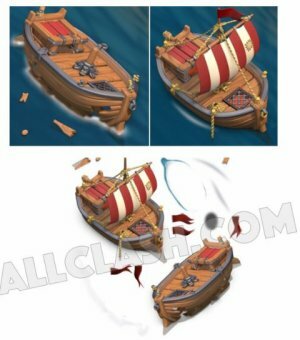 Shipwreck, castles and sea attacks have been mentioned and more details will certainly be revealed in the days to come. For now, simply keep an eye on specialised COC update websites for the latest news! A new update for Pokémon GO is now being discussed and it's expected to bring several improvements. However, one sure thing is that players into this augmented reality game will soon get to evolve monsters to their generation 2 forms! Server upgrades, a new trading system and glitches will also be dealt with. Do note that Niantic earlier confirmed that the title will be fixed every fortnight and this will surely help the millions of players now into this brand new pastime! Keep an eye here for the latest news! Crossy Road gets a Brazilian carnival themed update! If there is one thing that Hipster Whale is really good at, it's to come up with new updates for its hit game! That's none other than Crossy Road, and as you can all guess, a new expansion is now available. The latter comes with a flashy Brazilian carnival theme and it also brings in various new characters. Among these, do look out for the Brazil Chicken, the Carnival Dancer and the Tourist. While others will have to be unlocked somehow, most of these funny, moving creatures will be free to access and they also come with their own in-game themes. Update to enjoy it all! PSY now seen within Game of Dice! Fans of the crazy Korean singer, songwriter, PSY, will be pleased to hear that their star is now featured in a mobile game. The latter is none other than JOYCITY Corp's Game of Dice and it has just been updated with an awesome new theme. Do note that both the iOS and Android versions are concerned and we also know that a new purchasable character, in the name of Daddy PSY will be within the reach of players! Watch the video below to see what the rapper had to say about this new game! You have all been expecting the Town Hall 11 update ever since it was announced at this year's memorable Clash Con. However, mobile game developer, Supercell, has some good news for Clashers worldwide and it's to do with the release of its big new expansion. The latter is now live and various big new changes have been brought in. Even if most of it goes to high level players, there's indeed are a few added features that will still reach most users. Among these, one will notice a bigger village area, the possibility to donate spells, new maxed level troops, freeze spell for those with a TH 9 and over and many other perks. Simply update your app now to enjoy it all! Those with Star Wars: Commander installed can now update their game! Indeed, Disney has improved things and the combat strategy game actually comes with The Force Awakens content. Hence, Commander players will now be able to get involved in PVP Conflict on Takodana, the world seen in the upcoming film's trailer. Do note that players simply need to update their app to enjoy it all! Town Hall level 11 coming to Clash of Clans soon! If you are a diehard Clash of Clan players, you will certainly be over the moon with the news that Town Hall level 11 is coming soon! The next update has been announced at the recent ClashCon, and it was a fun event for the thousands of Clashers present. Do note that various forthcoming features have been showcased and these include a new defence and a new Hero! However, do note that the latter is yet to be revealed and Supercell is still working on a lot of these perks. For now, do check vlogger, Pat's latest video for a better understanding of what's coming! It's now time for the next Crossy Road update! That's right, Hipster Whale is at it again and this time, players will get to enjoy a Monument Valley themed expansion. Four new characters have been brought in from the puzzle app and these can either be unlocked through the prize machine or paid for. If you are wondering what else is on offer in-game, do watch the overview below! Blizzard might soon add a 3rd playing mode to Hearthstone! Recent news suggest the mobile game developer, Blizzard Entertainment, might soon come up with new features for its hit card battling game. That's none other than Hearthstone and it a new playing mode could possibly be on the way. The developer made it clear by publishing a GIF on the game's Twitter feed. The post actually shows a new slot being unlocked within the 'start a new game' screen, just underneath 'Solo Adventures' and 'The Arena'. Stay tuned for more details!